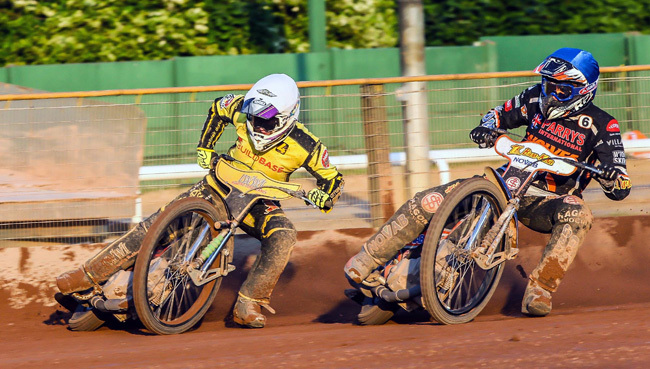 WOLVERHAMPTON overcame a stern test against Midlands rivals Coventry to maintain their unbeaten home record with a 51-41 win at Monmore Green. 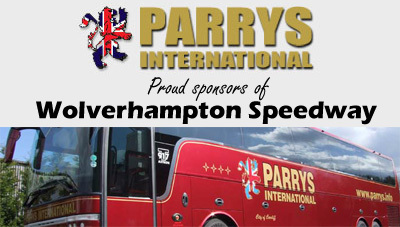 The Parrys International Wolves needed a late surge to prevail in the Monmore Green sunshine and ensure the battling Bees left empty handed. It was another determined all-around display from Peter Adams’ side in a fiercely-contested clash – and the team boss was delighted to see them emerge victorious. Said Adams: “We knew it was going to be tough against Coventry, because they have a few riders who are always a threat around here. “I said beforehand I would be happy with a one-point win, but we delivered a bit more than that and we can’t do any more than keep winning our home matches. 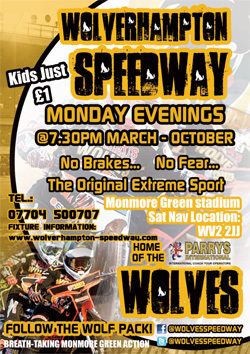 Swedish trio Freddie Lindgren, Jacob Thorssell and Peter Karlsson all bagged double figures to lead Wolves to victory. Karlsson enjoyed a memorable return to the side at reserve and joined forces with Thorssell for a breathtaking 5-1 in heat four. Thorssell eventually recorded three race wins and earned a heat 15 appearance following a classy display, whilst the magnificent Lindgren dropped just one point and saw his side over the line with wins in heats 13 and 15. Aussie ace Sam Masters was in the thick of the action throughout at No.3 and ended his night on a high with a superb maximum alongside Thorssell to wrap up victory in the penultimate race. Joonas Kylmakorpi also contributed a race win on an otherwise tough evening, whilst Kyle Howarth demonstrated plenty of encouraging signs to add paid five in the main body of the side against his former club. 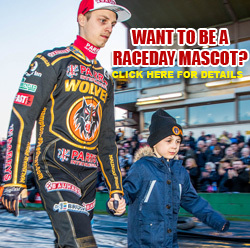 Young gun Max Clegg earned a good point in heat two and was always on the pace as the high-flying Wolves clinched three more Elite League points. 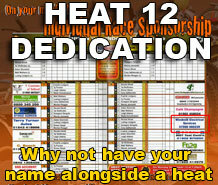 After a hectic spell, they will now face a 11-day break before their next meeting as they take on Belle Vue at the new National Speedway Stadium on Friday, June 17 (7.30). They will then return to home action as they host the return fixture against the highly-rated Aces on Monday, June 20 (7.30) at Monmore Green. WOLVERHAMPTON 51: Freddie Lindgren 13+1, Jacob Thorssell 12, Peter Karlsson 11+1, Sam Masters 5+2, Joonas Kylmakorpi 5, Kyle Howarth 4+1, Max Clegg 1. COVENTRY 41: Chris Harris 13, Jason Garrity 9+1, Krzysztof Kasprzak 5, Danny King 4, Kacper Woryna 4, James Sarjeant 3+1,Adam Roynon 3.